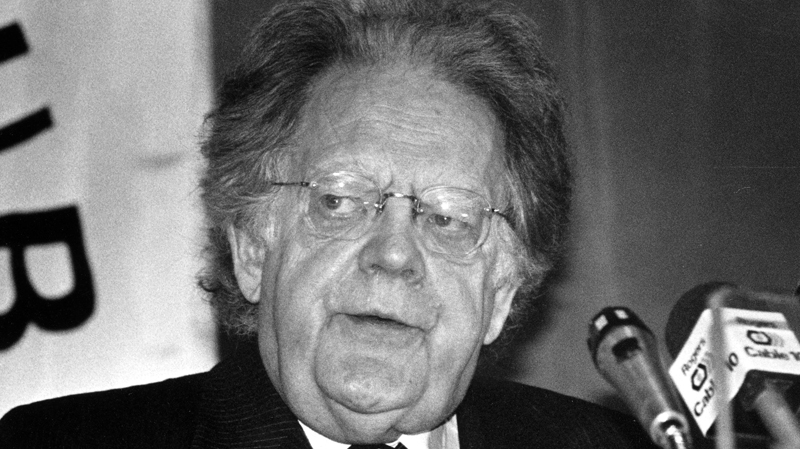 Canada’s intelligence service spied on renowned literary scholar Northrop Frye, closely eyeing his involvement in the anti-Vietnam War movement, an academic forum on China and efforts to end apartheid in South Africa. Newly released archival records show the RCMP Security Service relied on a secret informant to help compile a 142-page file on the esteemed University of Toronto professor, who died in 1991 at age 78. Every inch the owlish, bespectacled academic, Frye seems an unlikely counter-intelligence target. But the Mounties, wary of anyone deemed influential among the burgeoning New Left, amassed hundreds of thousands of files during the Cold War — monitoring key institutions such as universities, the media, churches and political organizations. The scandal-ridden RCMP spy agency was disbanded in 1984 and replaced by the civilian Canadian Security Intelligence Service. The Canadian Press obtained the intelligence dossier on Frye from Library and Archives Canada under the Access to Information Act. RCMP files on individuals can be disclosed only 20 years after the person’s death. The material covers the years 1960 through 1972, after Frye had forged a reputation as one of the pre-eminent western intellectuals. Several pages of the Frye file — though close to half a century old — were completely withheld from release because they contain personal information about others or material still deemed sensitive to Canada’s security. The Mounties seemed to first take note of Frye in 1960, when he served as a sponsor of the Toronto Disarmament Committee. In 1963, the RCMP flagged Frye’s participation — along with luminaries including communications theorist Marshall McLuhan and political scientist C.B. Macpherson — in the planned Norwegian quarterly Co-existence. A three-page March 1967 memo detailed Frye’s biographical details, relying on a secret source for information about his wife. The investigator noted Frye “has come to our attention” on a number of occasions, including involvement in a letter questioning Canada’s complicity in the Vietnam conflict, and his role on the honourary board of an international educational forum — or “teach-in” — on China at the University of Toronto in 1966. “Our source felt his participation gave the Teach-in a note of credibility,” says the RCMP memo. The 1967 biographical memo, prepared by an RCMP constable, reveals that at least one thing stumped the spies. Though he took a progressive stand on issues of the day, including the battle against racial segregation in South Africa, Frye expressed skepticism about the left-wing student movement flowering on campuses in the ’60s. He told a convocation address in Wolfville, N.S., in 1969 that demonstrations would soon wither away, with little to show for the marches and placard-waving. This entry was posted in Biography, News on July 24, 2011 by Michael Happy.